Dr. Wang joined Summit Nephrology in summer of 2014. He completed his nephrology fellowship at UC Davis Medical Center prior to joining the practice. He currently sees patients primarily in the Auburn and Grass Valley area, along with his other two partners Dr. Spin and Dr. Chang. 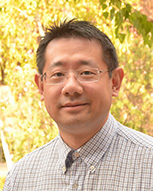 Dr. Wang grew up in Taiwan and relocated to the United States since High school. He is bilingual and fluent in both English and Mandarin, but also proficient in Japanese. He is currently living in Roseville, California along with his wife (local oncologist) and new born son. Dr. Wang enjoys travel, movies, and cooking.